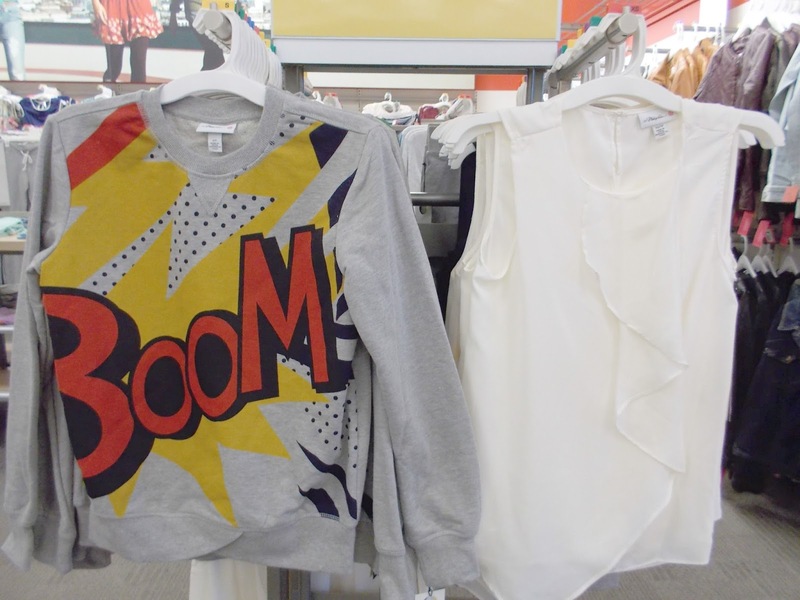 Tracy's Notebook of Style: 3.1 Phillip Lim x Target Store pics for Women + Men!! 3.1 Phillip Lim x Target Store pics for Women + Men!! The highly anticipated 3.1 Phillip Lim x Target Collection arrived early this morning online and in stores this Sunday with bags literally flying off the shelves. While I did most of my shopping online, not wanting to miss at least one of the mini Pashli bags, I did pick up a few things in store. My entire haul included the black mini Pashli, the yellow mini Pashli, the green/blue sweater, and the camo sweatshirt for my boyfriend. This collection is all about the handbags and for good reason, the mini Pashli is a bargain version of an actual Phillip Lim bag that would cost you $800. The collection is a mix of fun prints and some nice modern pieces that should work again next season. Make sure to also check out the men's collection, quality pieces and the prices are even better than the women's, pick up some for your stylish guy! What did you buy from this collection? The pretty ruffle tank are on my list if they hit the clearance racks. are where the handbags were displayed. ...and the mystery of where all of the bags went to.. a customer's shopping cart. In all fairness though, there weren't other shoppers looking for the bags at this location. shelves almost an hour after opening! The floral shirt dress is very large and boxy and the leopard dress is cute and looks true to size. The Sweater Dresses...how I wanted to love you. I think on the right person, these will look fab, but they run on the larger size. The the two sizes in front are x-smalls! This is one of my favorite items - love the color combo, I will wear this a lot! Fits true to size and reminds me of J.Crew, always a good thing when finding affordable clothing. I was surprised by how much I loved this print in person, great colors for fall. This will also be on my radar if it lasts long enough to go on sale. more of a hi-lo shirt, not what I was looking for, still love the print though. Love this print in this peplum version. An interesting white sparkle shirt, not really my style. Green Blouse with some shoulder paneling/overlay. This is a silky pj style blazer, it's boxy on the bottom and a very busy print in this fabric. I'm sure once it is paired with some solids, it will work..I think. Sparkle sweater was also a popular item. The silky skirts are really cute and a very wearable piece. The scarves are a great item to grab if you can only make one purchase. The sequin dress was only at one of the stores I visited. The fun "grab and go" packs sold out fast and contains a pj set. Casual sweatpants for the ladies. Some really stylish pieces in this collection and very affordable. The trench coat was actually sold out at two of my stores. The men's collection included shoes! Lucky! Check out Franci's blog for sizing at The Fashion Palate!! Yay! Glad you made it out alive! Love your haul. The green/navy sweater was soooo cute. I might end up getting that if it's still around during markdowns. Love your description,"interesting white sparkle shirt." was the best! ;) It was that, interesting. Also, funny how the the sparkle sweater sold out faster than the boom sweater at my target! Haha, thanks for noticing the "interesting" comment! The sparkle sweater surprised me, all three stores were almost sold out. I am super happy that I was able to grab the bags, they are so cute!! Aww..I was looking forward to seeing what piece you grabbed from the sale, I love the way you style the designer bargains! I actually told a customer who was wondering where the shoes were the disappointing news. Oh yes... I saw many instagram pics on Phillip Lim's new collection at Target! I think I will be checking it out soon! I have seen a ton of hype over Instagram, but didn't make the trek myself. I think there's some nice pieces, but I don't understand how it sold out so quickly in most places. I'm guessing people didn't even bother to try on the stuff they bought!